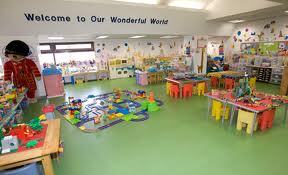 The Minister for Children and Youth Affairs, Frances Fitzgerald, T.D., today announced that €6 million in capital grant funding has been allocated to 290 childcare settings throughout Ireland including two in Dublin West. The aim of the fund is to provide support to childcare settings to address remedial/maintenance/renovation work and/or equipment for early education and childcare services. A grant of €5,492 has been awarded to Happy Puddleducks Childcare in Swords, and a further grant of €4,000 has been approved for the Home-Start Crèche in Clonsilla. In spite of all the talk of austerity the government continues to invest in capital projects which will create local jobs and benefit the community. The programme is a national programme and applications were invited from all 4,394 services contracted to Department of Children and Youth Affairs childcare programmes. All submitted applications were considered in order to find those that most closely and completely met the criteria and objectives of the programme.